Boston | Page 3 | Challenger, Gray & Christmas, Inc.
Read more about VP Lisa Turesky and Dress For Success Boston Event! 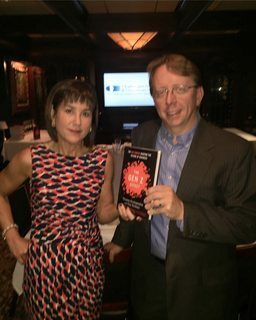 VP Lisa Turesky welcomed CEO John Challenger to her Fall Boston HR Leader Dinner Series. The evening included top HR leaders at a dinner at the The Capital Grille in Chestnut Hill, MA for a meet and greet with John and a night of networking and wonderful conversation! Thanks to all who made it a great night!